The library provides a resource of published material related to the theory and practical application of electromagnetic geophysical methods. 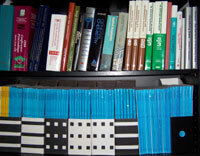 Technical Notes: authored by Geonics, the Technical Notes relate to many aspects of the electromagnetic method, both academic and practical, including the theory of operation, external considerations, applications and several interpretational techniques. Case Studies: presenting examples of the effective use of Geonics instrumentation in various fields of geophysical practice, Case Studies, categorized by application, are available for download. Bibliography: a reference resource, the Bibliography provides a partial listing of publications related to both theoretical considerations and successful applications of Geonics instrumentation. Library resources will be updated as new material becomes available. Please visit this section periodically to review the reference to, and the availability of any new publications.